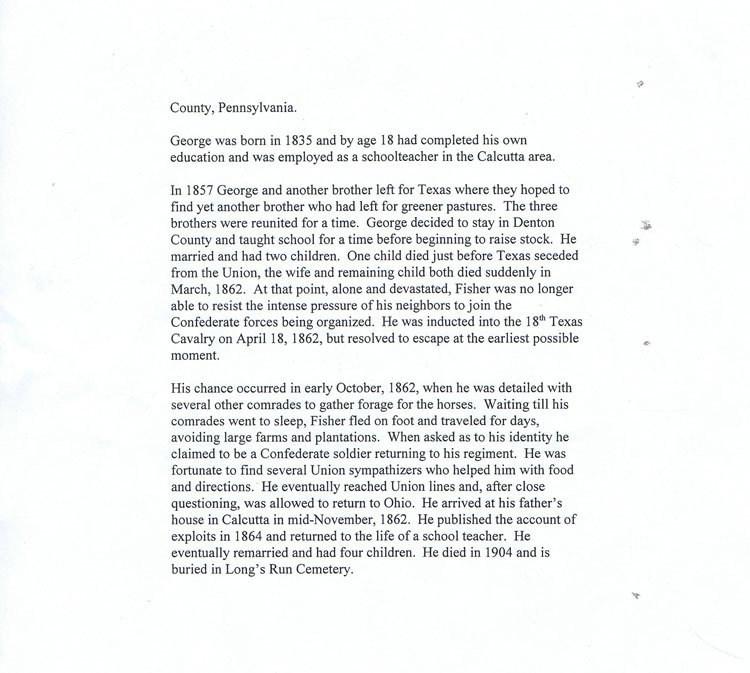 My Great Great Uncle Samuel Kerr of Hookstown. Mortally wounded at the Battle of Cumberland Church, Va. two days before Lee Surrendered. His unit's actions were instrumental in Lee's Surrender as Lee, Longstreet et al were all at Cumberland Church. April 9, resumed march in pursuit of the enemy. By direction of the division commander a regiment (Fifth New Hampshire Volunteers) was sent out on either flank to forage upon the country. 11 .m. the One hundred and fortieth Pennsylvania Volunteers, being in advance as skirmishers, came upon the enemy’s pickets. The command was here halted and formed in a line awaiting negotiation between the two armies, affecting a surrender of the rebel force. 2 p.m., again advanced a short distance, were again halted; here the Sixty-first New York were also deployed as skirmishers, and the Twenty-sixth Michigan as flankers. The Fifth New Hampshire Volunteers now rejoined the column, bring in about thirty prisoners and a few broken down mules, horses &c. 4 p.m., news of the surrender of Lee’s army was now received. This welcome intelligence was received by the troops amid acclimations of the wildest excitement and most intense joy. The men who compose this Nobel old veteran brigade may well be proud of the part taken by them in this as well as in each and all of the campaigns of the Army of the Potomac. Our successes have cost us the loss of many good soldiers, officers and men. Prominent among the many brave, we mourn the loss of Capt. I. H. Boyd, Brigade Inspector, killed upon the 7th instant. On the same day were wounded Captains Ricker, Fifth New Hampshire Volunteers, and Kerr, One hundred and fortieth Pennsylvania Volunteers, acting aides-de-camp. These two officers were particularly distinguishable at all times for their gallantry in action. The entire loss of the brigade during this short and decisive campaign will number in all about 650. 5 p.mp, assembled the skirmish line, forming a picked-line covering the division front and left flank. Remained in this position during the night. I am, colonel, very respectfully, your obedient servant. Geo. 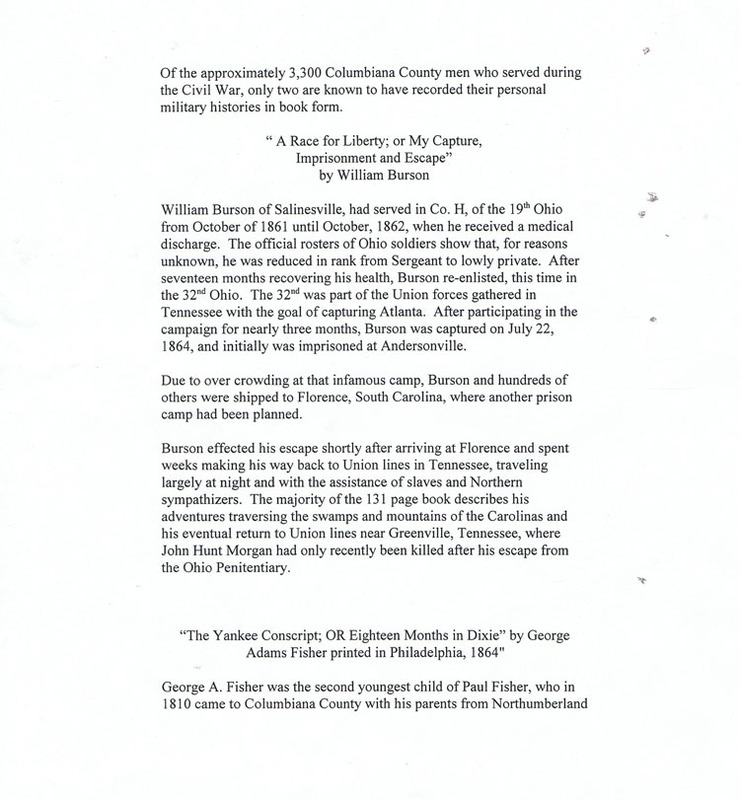 W. Scott, Colonel, Commanding Brigade 1From The War of The Rebellion: A compilation of the Official Records of the Union and Confederate Armies Series I - Volume XLVI Part I Reports. Government Printing Office 1894. “April 10, My troops, without exception, behaved well, standing firm under the attack of the enemy, and advancing fearlessly to the charge. Too much praise cannot be awarded to the detachment of the Sixty-first New York Volunteers—men and officers distinguished themselves. 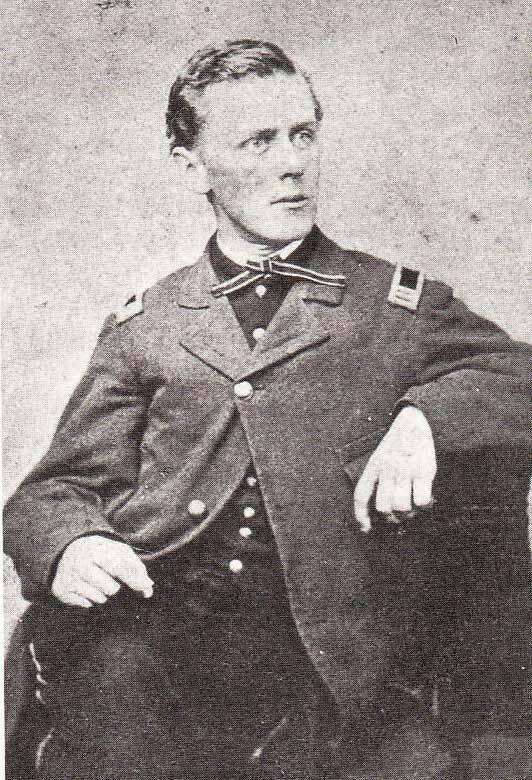 The officers of my staff, Captains McCallister and Kerr, of the One hundred and fortieth Pennsylvania Volunteers, and Lieutenant Hickock Twenty-sixth Michigan Volunteers, were very efficient at all times, gallant in action, and faithful to the performance of all duty. Lieutenant Hickock being twice struck by the enemy’s bullets. Accompanying is a list of casualties. I am , Very respectfully, George W. Scott, Colonel, Commanding Brigade”1. K 140 Pa, S. S. Kerr, Capt, 140th Pa. vols Appears on General Order No 65, dated War Department, adjutant General’s Office, June 22, 1867. Appointed to be Major BY BREVET in the Volunteer Force, Army of the United States for conspicuous gallantry in the engagement with the insurgent army of Northern Virginia of April 7, 1865. Both in the Spanish-American and the World War a company was raised in East Liverpool. On both occasions it was known as “Company E.” Both were in charge of Capt. M. W. Hill, he leading both contingents out of the city after an interval of nearly twenty years. The 1898 company became a member of the Eighth Regiment, Ohio National Guard, known as “The President’s Own.” The first and second lieutenants were George O. Anderson and Robert T. Hall, respectively. 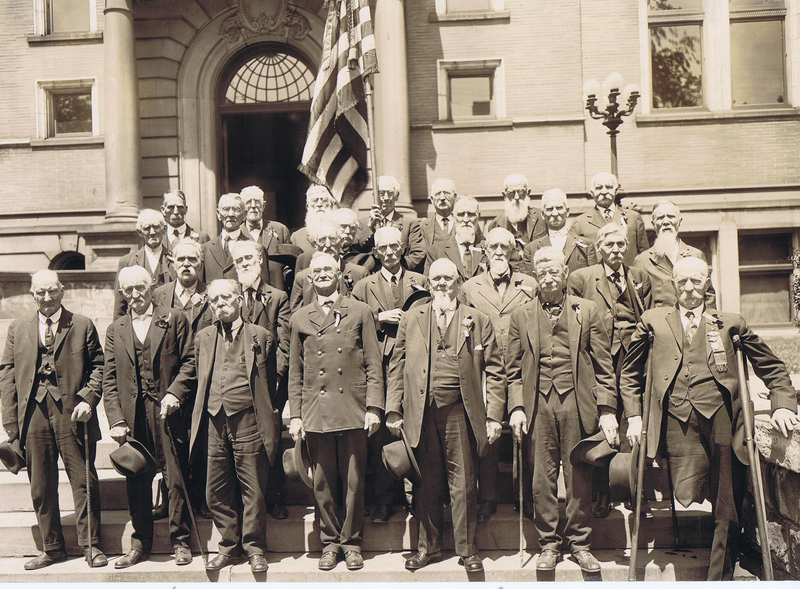 On April 25, 1898 the Company left East Liverpool for the regimental headquarters at Wooster, Ohio and its members were mustered into the United States service at Columbus on May 13 of that year. The regiment reached Camp Alger, Va., two days later. On July 7 the regiment left New York on the transport, “St. Paul” and landed at Siboney, Cuba, on July 10. General Shafter sent it to the trenches and guard duty. Sickness seized the majority of the Company E. men. Those able to do so left on August 18 for Montauk Point, Long Island, N. Y., where they landed on August 24. They entrained for Wooster on September 24 and were mustered out of service on Nov. 21, 1898. 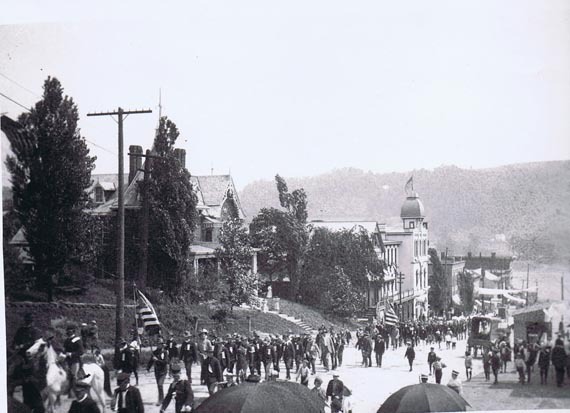 East Liverpool and the "Splendid Little War"
Company E, 8th Regiment, marching to entrain at the foot of Walnut St. 1898 Spanish-American War. 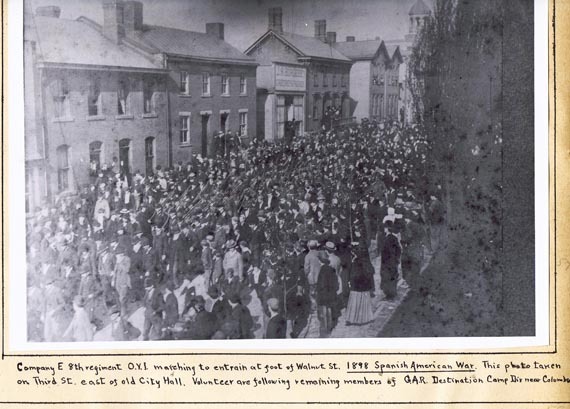 Co. E. Leaving for Spanish-American War from glass plate taken by Harry Webb. April 25, 1898. Return of Company E. O.V.I. after Spanish American War. 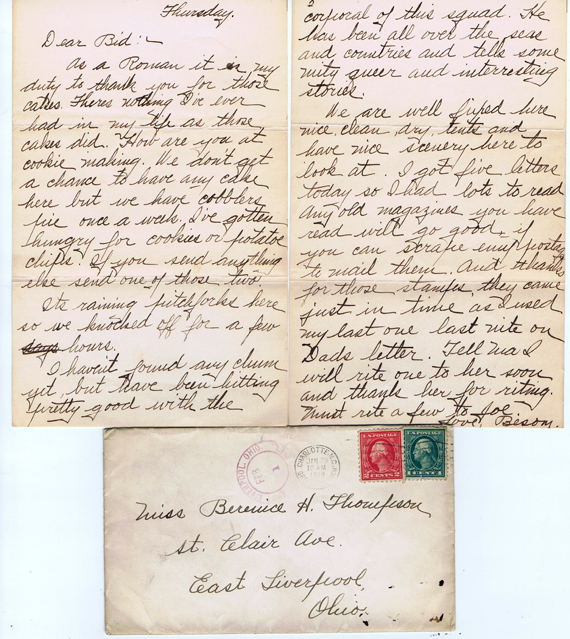 Date about Aug. 15, 1898. Dale Thompson Collection. It was another “Company E” that was formed in East Liverpool during the weeks immediately following the April declaration of war against Germany in 1917. It became a part of the Tenth Ohio Infantry of the State National Guard which was commanded by Col. W. C. Weybrecht, of Alliance. 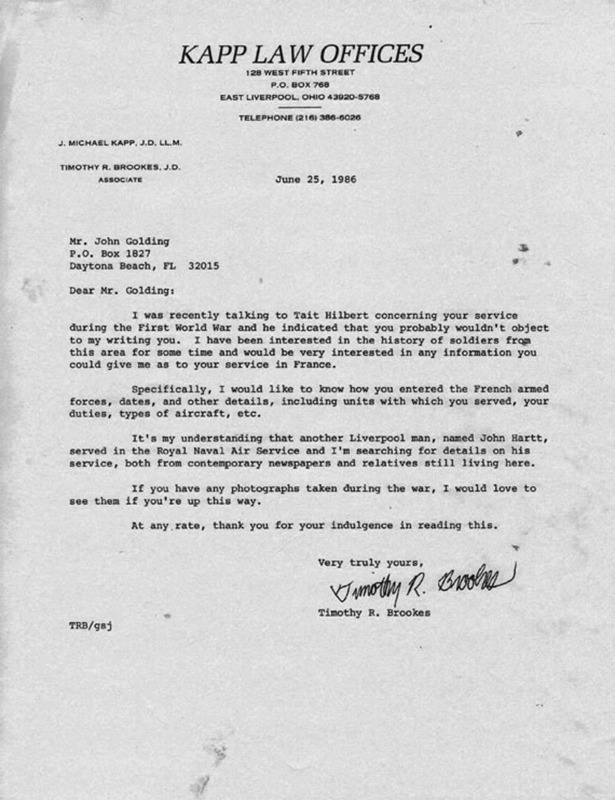 Recruiting was carried on in the Y. M. C. A. Building on Fourth and Washington streets and in its banquet room the soldiers daily messed after it had been assembled. Headquarters were maintained across the street in the second floor of the Moose Building. Drilling was done in various plots about the city and at Newell, W. Va. Though in the service for months the Company was preceded to camp by twenty-three East Liverpool, Wellsville, Hanoverton and Lisbon young men who as five per cent of the initial draft contingent went to Camp Sherman on Thursday, Sept. 7, 1917 to assist with others throughout the state for the coming to those to follow them. 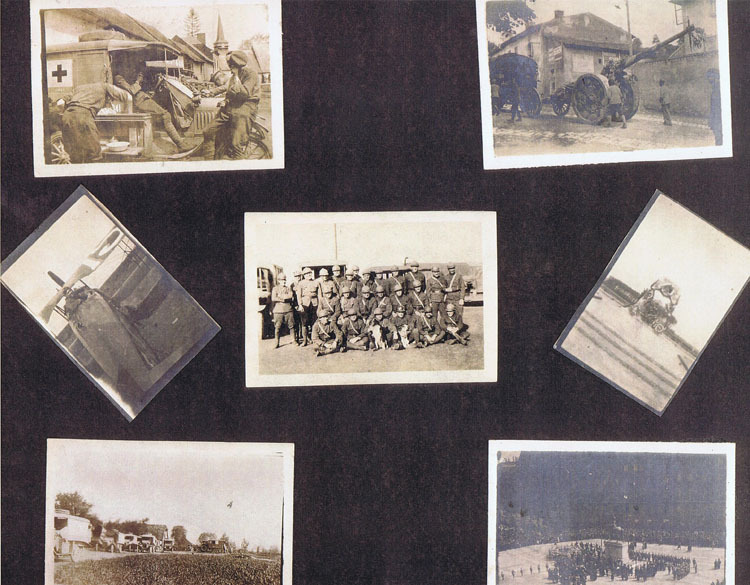 These pioneer soldiers were: Earl M. Clawson, Thomas Brozka, Samuel R. and Robert A. Taylor, William R. Henderson, E. E. Shenkel, Ernest A. Puron, Charles Hart, George Albert Patterson, Allan George, Robert Guyton, William Roush, John T. Burns, Frank M. Hill, John E. Canavan and William V. Duffy of East Liverpool; John H. Grafton and Jacob Bowers of Wellsville; John C. Tate, F. C. Sinclair and Wilfred A. Ballen of Hanoverton and Earl C. Apple and C. P. Deemer of Lisbon. The night preceding their departure receptions were tendered the various members of the detachment at the Y. M. C. A., K. of C., and Masonic halls. Crowds thronged in and about the C. & P. depot the following morning as business houses delayed opening for an hour, factory whistles blew and Attorney Jason Brookes made an address while awaiting the west bound 8:10 o’clock train for Steubenville. 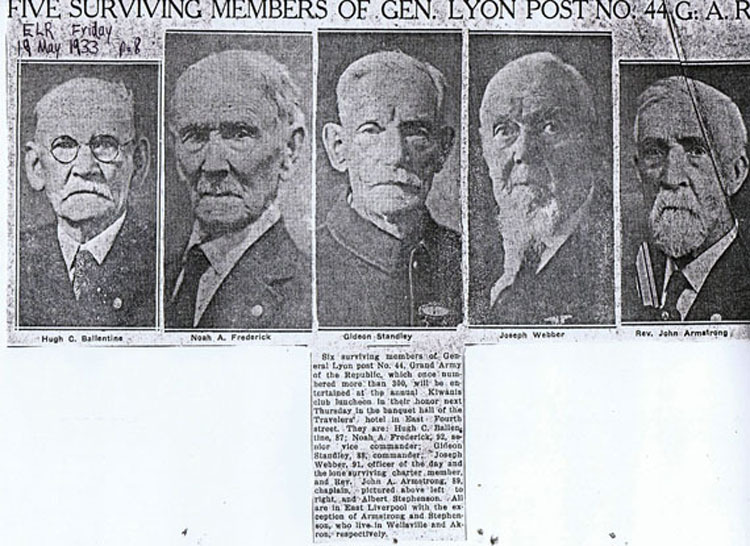 Many of these young men later became commissioned and non-commissioned officers of what later became Co. L of the 332nd Regiment of the 83rd Division, which the commander, General Glenn, in the summer of 1918 took to France. Commanded by Col. William Wallace, of Indianapolis, Ind., the 332 regiment was detached and served as a separate and disunit in Italy, where it took part in the Piave River battle against the Austrians. Later the regiment did garrison duty. It returned to America in the Spring of 1919. Company L arrived on the Steamer Dante Alighteri which reached New York on April 18. The men were taken to Camp Merritt, N. J., and with others of the regiment participated in the great Parades in New York City on April 21 and in Cleveland on April 26. From Ohio’s metropolis the men were taken to Camp Sherman at Chillicothe, Ohio, from where they were mustered out of service. On Sunday morning, September 10, with the entire city seemingly present with many from various county points adding to the number, Company E. entrained for Camp Sheridan at Montgomery, Ala. As he had done two decades before, Captain Hill led the detachment down Broadway, following a parade of the main streets of the city, to the C. & P. station. His first lieutenant was Richard Smith and the second, Allan Surles, both local young men, popular and well known. Music was dispensed by the Ceramic City Band. A big reception was tendered the departing men on Saturday night at the Y. M. C. A. gymnasium at which Eugene H. Bradshaw, the city’s safety director and president of the National Defense Organization was master of ceremonies. A feature of the affair was the appearance in Scotch kilties of Adam MacGregor, a convalescent wounded soldier of the ill-fated Dardanelles campaign, who sang numerous Scottish songs. 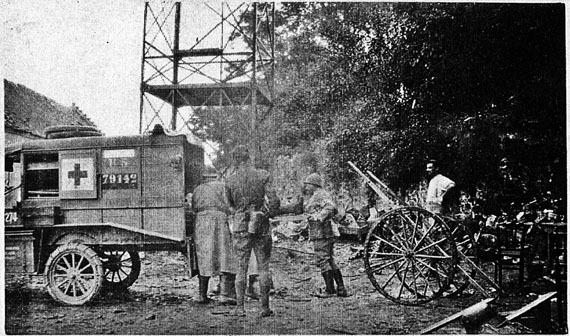 At Camp Sheridan “Company E” became “Company D” of the 135th Machine Gun Battalion of the 37th Division. As such it reached France in the summer of 1918. Meanwhile Captain Hill had been invalided home and Lieutenant Smith returned to his home here. Lieuts. Millard Blythe and Lester McNicol, both East Liverpool young men, had been attached to the contingent. 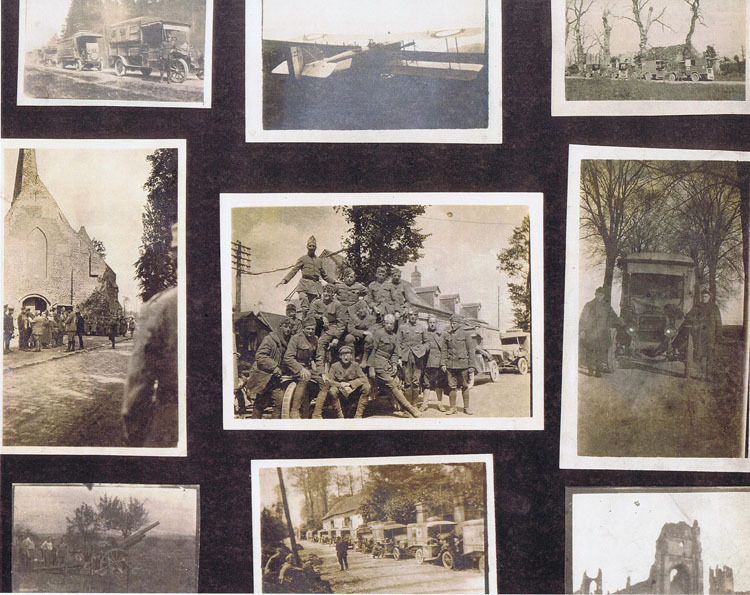 The men fought in the Argonne Forest and were fighting in Belgium when hostilities ceased on Nov. 11, 1918. On Sept 26, in the Argonne an exploding shell snuffed out the lives of Sergeant Charles C. Cox, veteran of the Spanish-American War, and Privates Cecil A. Eardley, Howard J. Purinton, Sylvester, Bierry, Walter Wasson and John Vaughn. On November 4, a week before the armistice, Daniel Duty, of Wellsville and Harry Heckathorne were fatally wounded in action on the Escant River in Belgium. 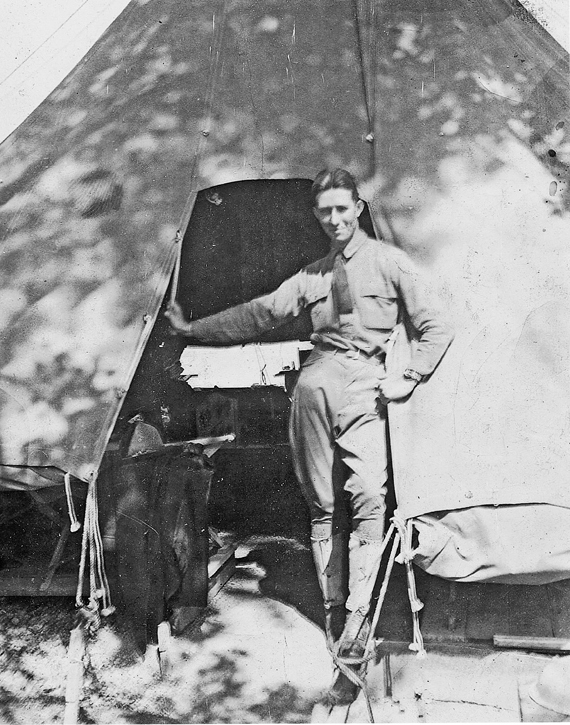 Sergeant Herman Tuerck succumbed to illness at Hoboken, N. J., on March 31, 1919, following his arrival after the return trip on the George Washington. 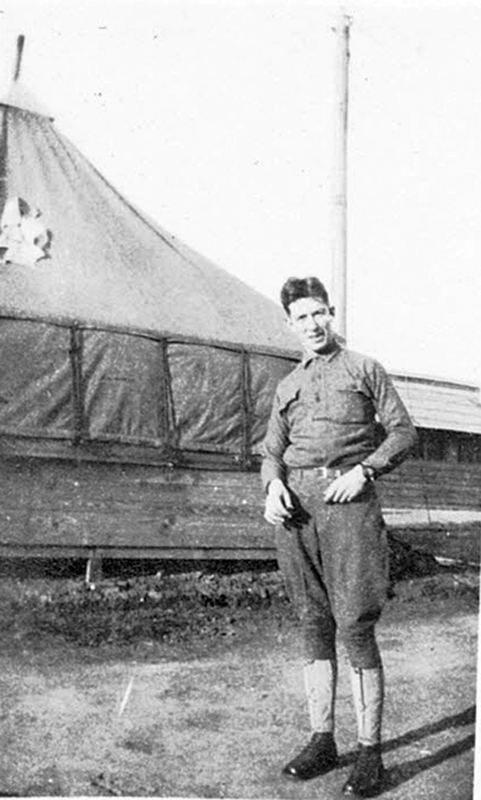 The surviving members of the old Company E, after returning as Company D, were permitted to spend April 3, 1919 in East Liverpool while en route from New York to Camp Sherman at Chillicothe, Ohio, following their return to this country. 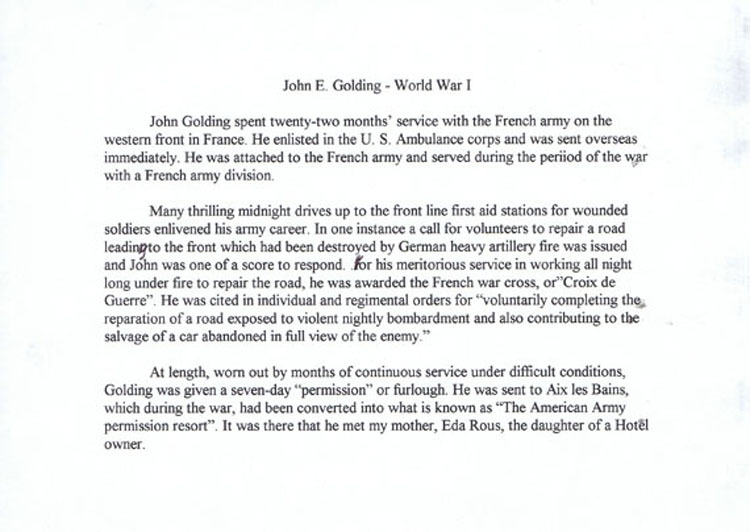 The event furnished one of the red-letter days in East Liverpool of the entire World War period. 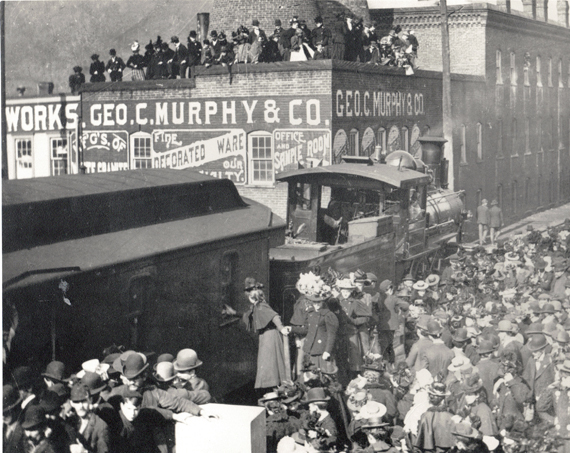 Thousands met them at the C. & P. depot at 8:20 o’clock that morning. Officially greeting them were Major J. S. Wilson and the day’s chairman, Attorney W. H. Vodrey. Frank Robinson, assisted by David McLean and Will T. Blake, was the Marshall of the parade. Though the men were in direct command of Lieut. 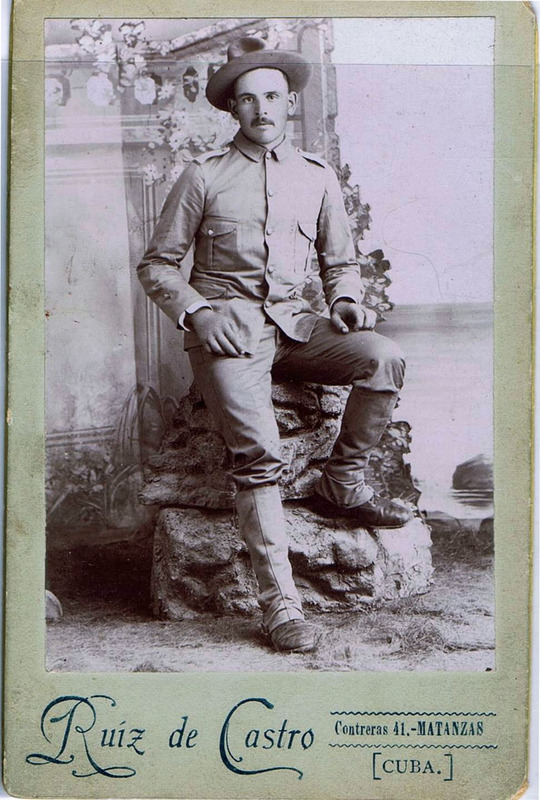 William R. Atkinson, of Dayton, Ohio, he gracefully permitted Lieut. 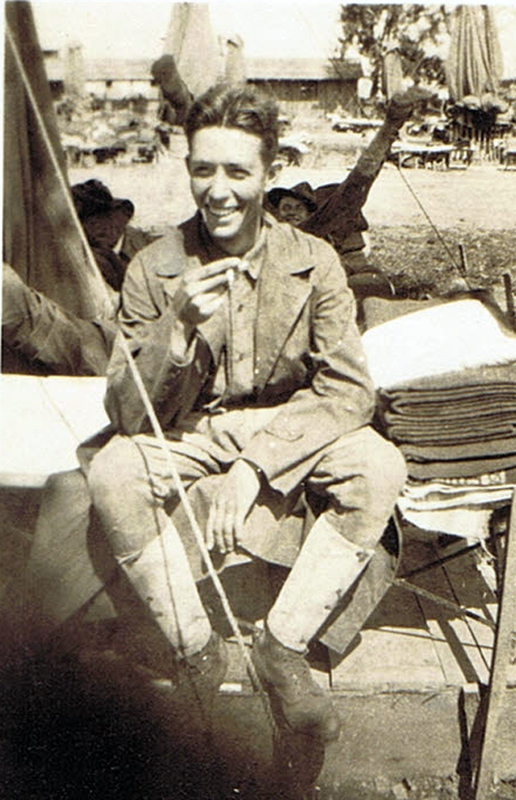 Allan Surles, now promoted to battalion adjutant, the third officer in rank when the men went away on the drab September morning of more than a year previously, to lead the men with Lieut. Lester McNicol up Broadway to the Y. M. C. A., where dinner was served them by the East Liverpool Red Cross, under the immediate supervision of Miss Sara Simms. 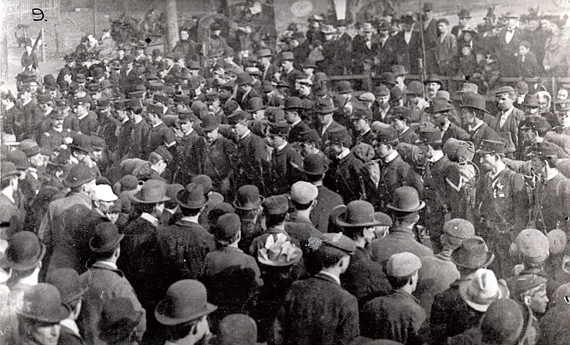 After the repast the men paraded the main thoroughfares of the city. It was headed by Police Chief Hugh McDermott and a platoon of six of his men. In it were the Ceramic City and High School bands and the East Liverpool Drum Corps., Mayor Wilson and Chairman Vodrey, the Civil War veterans, those of Foreign Wars and the preceding ones of the World War under Lieuts. Robert Brooks and John T. Burns. 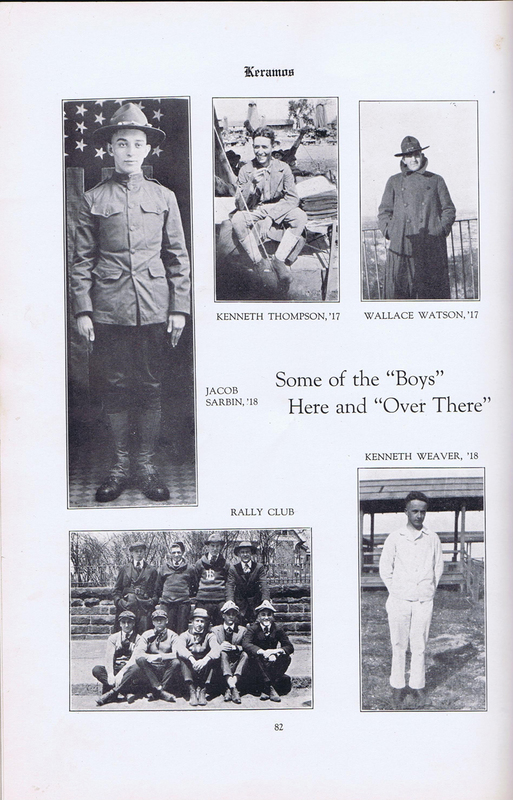 1918 East Liverpool High School Yearbook, Keramos. Ironic that Kenneth Thompson is among those on this page. 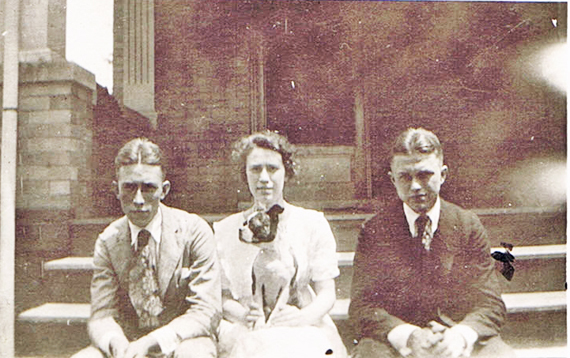 The following comes for a 6 part series titled "Two High School Graduates, 1912, 100 years ago and our town in their time." This particular section is the latter part of Part 5. 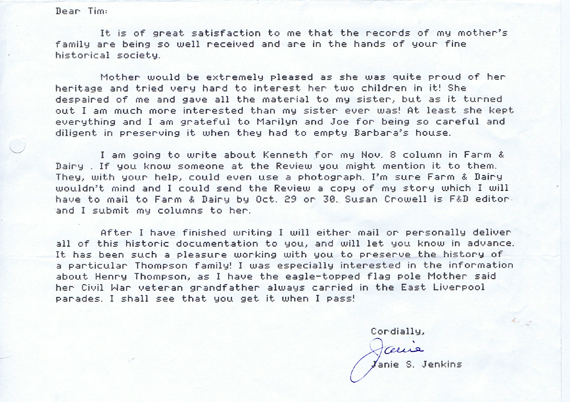 The story of Kenneth Thompson continues in the first part of Part 6 for those who are interested in the rest of the story. Click on the above url to read the rest of his story.